The six month anniversary of the tragic 11 March “triple disasters” in Japan, which shattered coastal communities and left more than 20,000 people dead or missing, coincides with the recent launch in Brussels of the WorldRiskReport 2011 in English. It is timely to reflect on the lessons and policy insights that Japan may learn from the report, as the nation continues on its long road to recovery. Asia, characterized by its geographical diversity, varied natural environments and extreme weather conditions, as well as emerging markets and rapid population rise, has become a “hot spot” of exposure to natural hazards and disasters. Countries like Indonesia and Papua New Guinea have proven to be particularly at risk and highly vulnerable. However, as this year’s 11 March triple disasters in Japan — and the Fukushima nuclear situation, in particular — demonstrate, a country’s vulnerability to disaster can go beyond natural hazards, to incorporate (and combine with) risks caused by “man-made innovations” in industrialized nations. According to the WRR, risk is “the interaction between natural hazards and the vulnerability of the exposed society”. This implies that disasters cannot be attributed to meteorological or geological phenomena alone, but that they are determined also by social structures, vulnerabilities and processes. By focusing on disaster prevention, protection of vulnerable groups and risk management, WorldRiskReport 2011 breaks away from the usual “short-term” view of disasters prevalent in literature and theory. It thus supports a “developmental approach” to understanding and dealing with disasters. iv. adaptive capacities, which allow societies to change in order to live with extreme events. The report emphasizes that it is important to differentiate between “coping” and “adaptation”. Coping is viewed as an immediate action in response to an extreme event or hazard, whilst adaptation is focused on long-term strategies involving changes in livelihoods, education and labour markets that allow societies to live with changing environmental conditions. Industrialized nations like Japan, therefore, usually have higher levels of adaptive capacity to risks. If the 11 March earthquake and tsunami had occurred in the Philippines or Indonesia, for example, they most likely would have resulted in many more fatalities. To cite a specific example, when comparing the 2011 Japan Earthquake with the 2010 Haiti Earthquake, the differences in coping and adaption are obvious. Despite its high level of comprehensive disaster-preparedness, Japan ranks in the Asia Exposure Index in second place, behind the Philippines. On the global scale, Japan ranks 35th out of 173 countries in the WorldRiskIndex. Not only is Japan amongst the most exposed countries to natural hazards and the influences of climate change (being prone to earthquakes, tsunamis and typhoons, as well as sea-level rise, amongst other hazards), the 11 March disasters raised questions about the country’s exposure to “cascading” threats. The concept of “cascading threats or effects” refers to the “snowball effect” of crises that in their cumulative impact can cause disasters: for example, when a primary hazard causes series of subsequent hazards, such as the ongoing “cascading damage” resulting from radioactive pollution released by the damaged Fukushima Dai-ichi nuclear power plant. 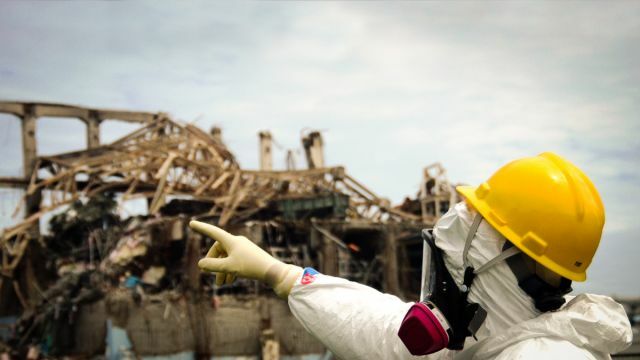 Critical infrastructure and disasters: Lessons from Fukushima? The current focus of the WRR on the intersection between natural hazards, climate change and social vulnerabilities, and adaptation gives rise to questions about the relationship between “human-made” disasters and vulnerability, and the implications for enhancing disaster risk reduction. While, in general, very centralized critical infrastructure systems (such as electricity networks) can lead to greater cascading effects, affecting multiple regions and sectors, than is the case with more decentralized systems, the challenge is to accurately capture these impacts — and to develop suitable indicators. In this area, much work and research remains to be carried out. It is difficult to devise the right indicators to capture this type of risk on a global scale, since many cascading effects are heavily influenced by specific local settings. As a result of the March disasters, Japan’s centralized energy systems and the nation’s heavy dependence on nuclear energy also came into the spotlight when, in April and May, Tokyo faced power outages. Japan’s new Renewable Energy Bill, introduced to the Diet (parliament) in August, sets targets to increase renewable energy production. How policies on renewable energies impact on disaster risk and potential cascading effects, however, is difficult to measure. Furthermore, whilst not detracting from their environmental benefits, some renewable energy strategies can exacerbate or enhance new and existing risks: for example, the widely document link between biofuel crops and food insecurity (substitution of food crops for biofuel crops leads to increased food insecurity). In general, however, risks relating to renewable energy have fewer longitudinal effects than nuclear energy. Whether natural events develop into disasters depends, critically, on the susceptibility and the coping and adaptive capacities of societies. A key factor within coping is governance. The provision of abundant and open information during a crisis may lessen the secondary effects of the disaster, whilst less-open communication may enhance the secondary and cascading impacts. These factors impact on the ability of governments to help affected people during a crisis or adverse event. 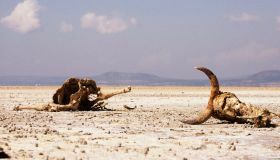 An example on how failed governance enhances the crises can be offered by studies of drought disasters in Somalia. Currently, little data is available on the role of social networks, so it is difficult to include them in a global risk index, despite their significant role. Measuring these social indicators in Asia is particularly challenging due to the region’s population and its economic and social diversity. While China and India are facing a population boom, Japan, in contrast, is confronted with constant change to its social networks due its aging population. These social and governance factors need to be taken into account when assessing vulnerability, as coping capacity can be undermined by weak governance. Given its focus on comparing countries, the WRR does not analyze differences between rural and urban areas within a nation or region. 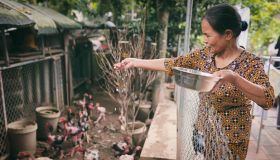 Whilst mega-cities are particularly difficult to evacuate in the case of a disaster, rural areas are vulnerable in different ways. Japan has one of the most advanced tsunami early-warning systems in place in the world. However, the magnitude, velocity and immediacy of the March tsunami exceeded all expectations. Many individuals simply could not escape to high ground in time. When learning from the disaster, it may be valuable to consider the advantages of vertical evacuation systems, in addition to current horizontal evacuation strategies. Such considerations will impact on reconstruction and urban planning in affected communities. 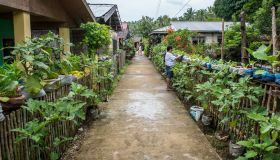 For example, towns located close to the coast (within reach of a tsunami) might consider constructing strong, higher buildings in populated areas, to functional evacuation spots. Such buildings, however, would need to be easily accessible, 24 hours a day. Furthermore, careful consideration may also be required before deciding to re-build residential dwellings in low-lying coastal areas. Though fishing vessels need to be located at the coast, housing could be relocated a safer distance away from the reach of future tsunamis. Adaptation strategies in rural areas may also benefit from traditional knowledge. For example, the placement of ancient stones in Aneyoshi (Iwate prefecture, Japan), more than 600 years old, close to the coastline serve as markers and a traditional early warning system. They thus offer a recommendation on how and where to build housing and how to behave when a natural hazards strikes. Such a focus on the local-community level, decentralized governance structures and subnational assessments rather then national surveys can facilitate a more qualitative assessment of risk. However, the validity of traditional knowledge needs to be considered carefully, and the lack of a global database makes it difficult to consider traditional knowledge in the WorldRiskIndex. 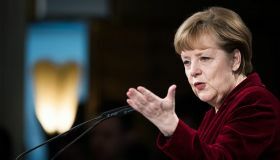 The WorldRiskReport 2011 draws a comprehensive and insightful picture of the different vulnerability profiles of countries at risk around the world. An assessment of local and regional indicators of the risk in developing countries such as Indonesia gives detailed and case-oriented results. Similar in-depth studies of industrialized regions and countries can help develop new risk indicators that take the cascading effects of disaster into account; these may find their way into the “lessons learned” chapter of a new edition of the WRR. 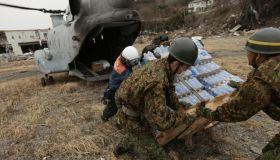 For disaster managers, practitioners and (particularly) policy makers in both developed countries such as Japan, and in the developing world, the WRR and WRI may be useful tools in communicating the complexity of disaster risk and the need to start strengthening coping and adaptive capacities before a disaster hits. Similarly, careful study of the practical experiences and lessons learned from Japan may help inform the development of new indicators that can capture both the cascading impacts of disasters and the juncture between human-made/human-intensified risk and social vulnerabilities. Six months after the devastation of the March disasters in Japan, and with many more months of recovery ahead, such study is a valid task.